The third chill-out compilation by AMAdea Records is out! Chill-out Dreaminess - green session is now on sale in our store! 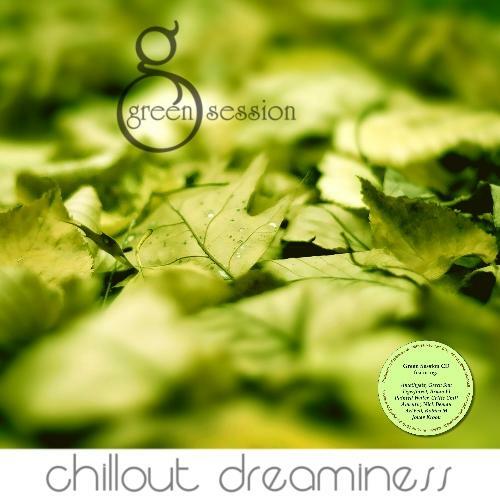 Chill-out Dreaminess - green session is the third compilation from the chill series, produced by AMAdea Records. It contains a mix of many fantastic tracks, brought to you by fascinating & promising artists in this field of music. This set of 16 tracks could be your solace. Each track has unique dynamics, pulsation & energy that relaxes, rejuvenates and regenerates you to your full extent! So many compilations fail to rise up to what they are made for - each track to be distinctly pleasurable and memorable yet also as a whole, for the tracks to fit together and complement the collaboration. Chill-out Dreaminess achieves this difficult balance. This is a well worth Spiritual sojourn. 'Green session' is an enigmatic and deeply enchanting set that takes the listener on a musical voyage to the heavens. It's definitely a 'mood setter'. It is perfect to listen late at night before bed alone or with a loved one. It is a compilation full of hope and atonement in humanity.